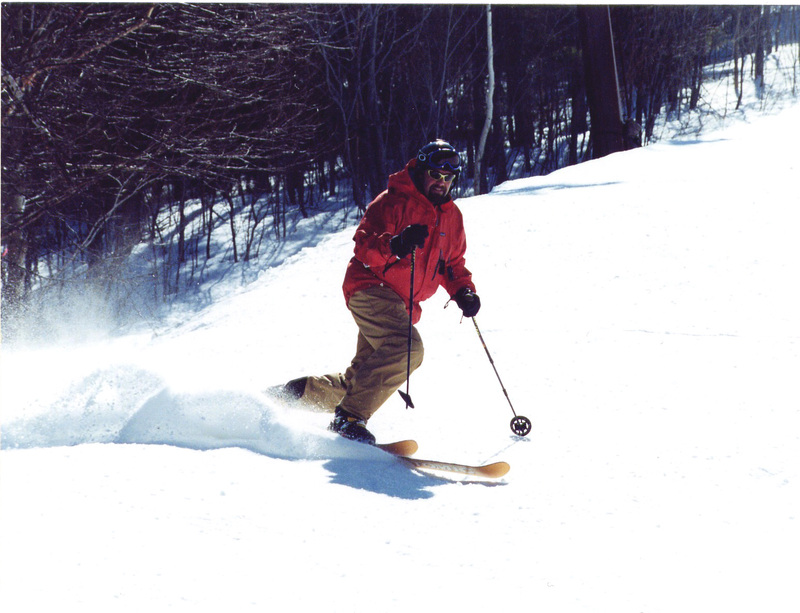 February 3 is a day we remember our best ski buddy, Wes Mills of Kennebunk Maine. 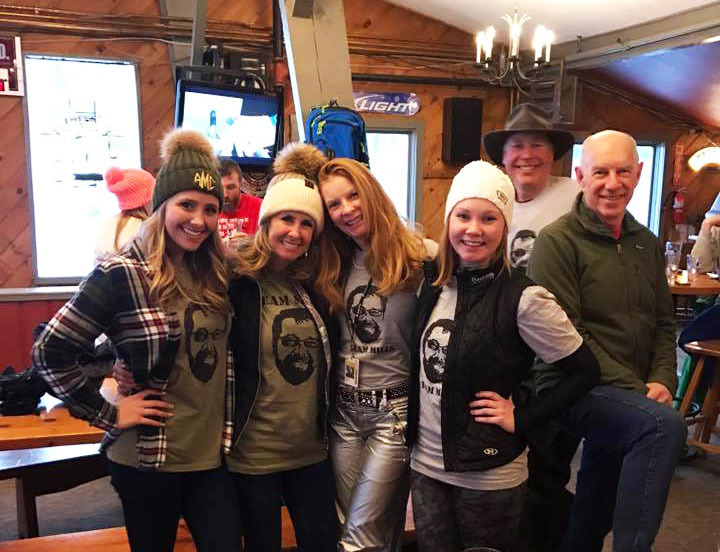 Wes Mills Ski Day is celebrated at Sunday River annually on his birthday, sadly in his absence – we lost Wes too soon after his valiant battle against renal carcinoma that took him away on September 28, 2016. But his ski spirit lives on in our hearts, our minds, we all continue to “Ski some lines for Wes” …among his beautiful parting words to ski friends. Wes was a true hero in a sense, and a top alpine supporter. How many people thought of Wes Mills as their best ski buddy? That was one of Wes’ many gifts. Wes always brought joy, humor and love – everywhere he went, and always to the ski slopes. 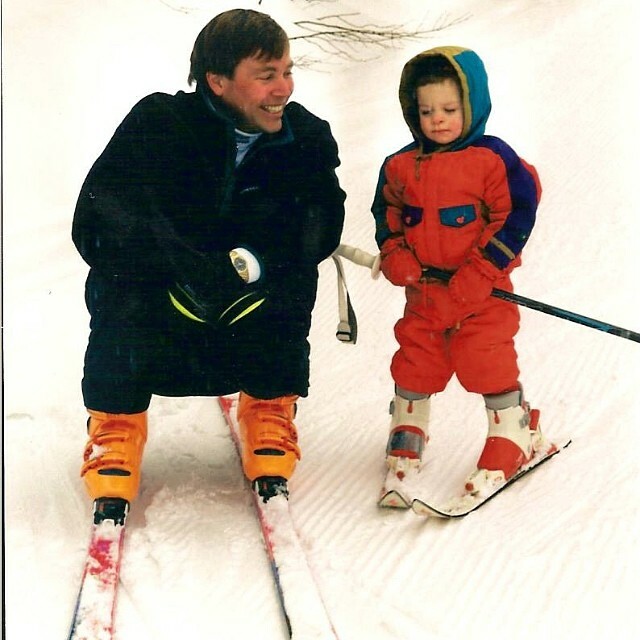 He wouldn’t want us to be sad …he would want us to be happy – glad we knew him, happy for our mountain adventures with him, he’d want us to carry on – to carry him in our memory skiing, biking, boating. Wes travelled the globe in search of deep powder with his ski posse – from Jordan Bowl to Japan with SAAS, Sunday River to the Swiss Alps, making new friends at every turn, cherishing every moment, every run. He could tele like nobody’s business, except perhaps for his son Wes who literally followed in his tracks. As friend Doug Patey said, “There was always just one more ridge to summit for Wes.” His energy and enthusiasm was boundless. He’d say, “There’s no such thing as bad weather, just bad clothing.” Wes’ playfulness and passion for the outdoors were extraordinary. He would also find something tremendously positive about the conditions, a perfect patch of cord, or soft carve-able snow on an otherwise firm fast freezing day. He prioritized fun, and friends, and family. Wes always brought his best, never complained or tuckered out. He found humor in everything. He was strong but humble, a tease but only in kindness and thoughtfulness. He climbed every mountain, carved every slope, lived life to the fullest. F riend Bill Basset said, “I think Wes wanted to be buried in his ski boots.” Well, he will be in our ski thoughts, in our pockets and packs on those perfect powder days, and when its sleet and hail, we’ll find the silver lining and think of our amazing optimistic friend, forever… this ski season, and always. 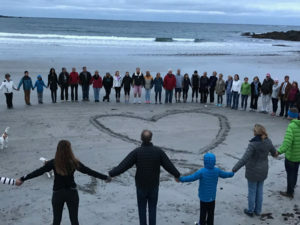 Friends of Wes will gather at Barker Mountain at Sunday River on February 3, 2019, Superbowl Sundaywould be Wes’ 59th birthday, ski some lines for him, then meet up after for après ski drinks at Barker Bar at 2pm. Wes’ skis are mounted above the Barker Bar. Also prophetic, in 2018-19 The Weather Channel has named a winter snow storm for ” Wesley”. 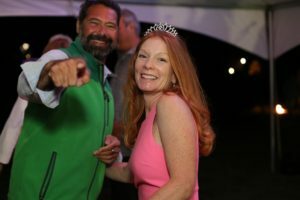 Heather Burke, in loving memory of Wes Mills, best ski buddy ever…. 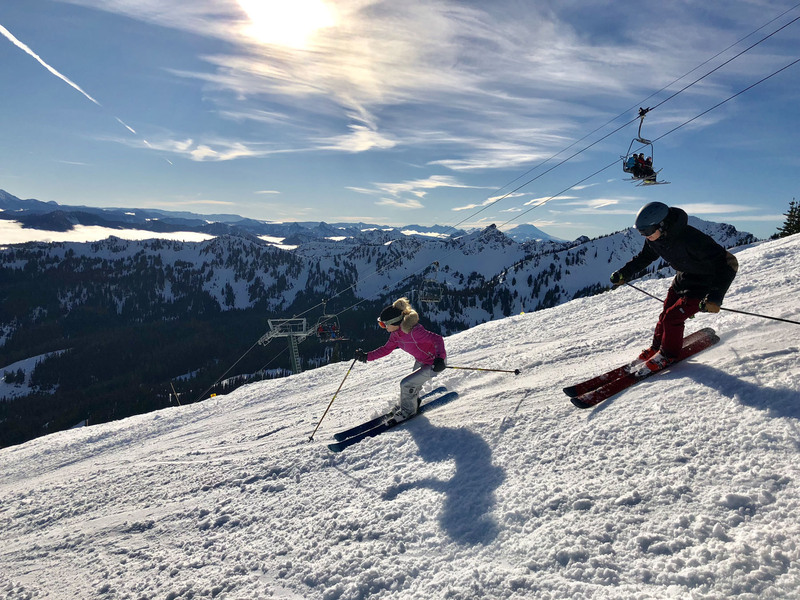 Planning the perfect family ski vacation can be as difficult as tackling a black diamond trail with a broken pole. 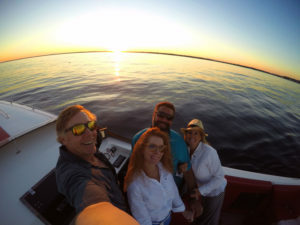 Not only do you have to book essentials such as lodging and transportation, but you also have to consider less obvious factors such as local weather and terrain. 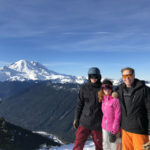 If you’re thinking about planning a ski trip with your family in the near future, here are some points to consider to help you holiday the right way. 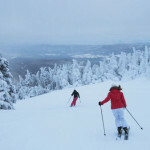 Why Plan a Ski Vacation? There are plenty of good reasons to take holidays throughout the year. Vacationing helps you to unwind, giving you time to rejuvenate your mind. It’s important that you make an effort to separate yourself from the daily grind during your vacation to give yourself a legitimate break. You should make sure that your clients and co-workers know not to contact you during your absence, and avoid the temptation to check your phone or work email while away. Giving yourself time to relax on holiday can have a significant positive impact on your mental health. Vacationing has been associated with reduced levels of depression, higher energy levels, and greater satisfaction in relationships. 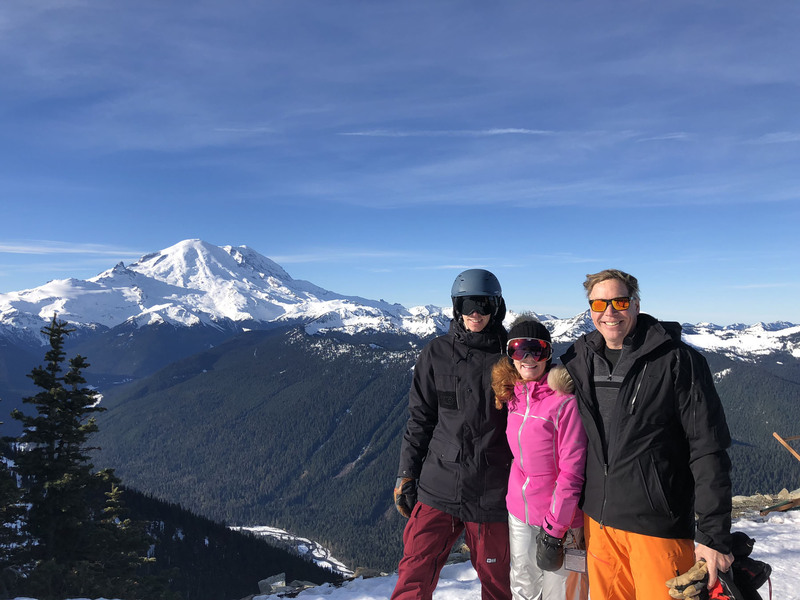 In addition to the emotional benefits of taking some well-deserved time off, a ski vacation can also help you to improve your physical wellbeing. Skiing is a high-octane activity that gives you a full body workout. It helps you to strengthen muscles and joints while also getting an intense aerobic workout that strengthens heart muscles. 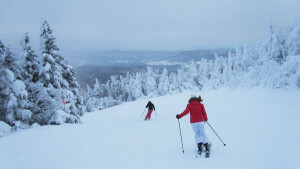 Choosing the right ski destination is one of the most important aspects of planning a ski v acation. If you pick the wrong location or book tickets at the wrong time of year, you may not find yourself enjoying the snow-covered wonderland that you had imagined. You need to consider an area’s terrain, its climate throughout the year, and its popularity. Renowned resorts such as Aspen are often much more crowded than lesser known slopes, which can make skiing especially difficult for beginners. 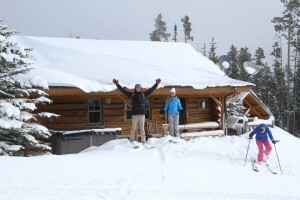 You should also look for a place that gets enough snowfall during the time of year you plan to visit. 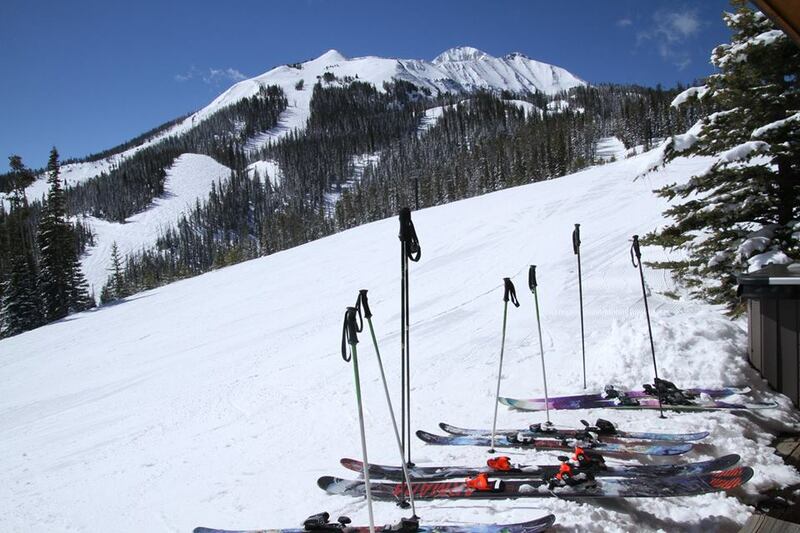 Planning a ski trip on a budget can be challenging during skiing season, as prices tend to skyrocket at this time. While you may be able to find cheaper early-season tickets, you may be limited by which trails are open for use. It’s best to look for a resort with on-season prices that fit your budget. Don’t forget to consider additional costs as well, such as meals, lessons, and equipment rental. Obviously, the main event on any ski trip is hitting the slopes, but it’s also important to consider what you have to do in your downtime. 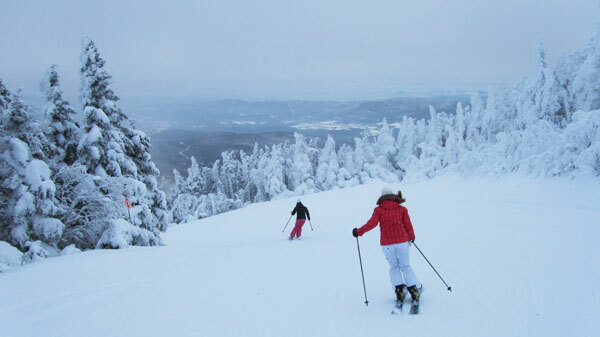 Off-slope activities can be just as much a part of any vacation as strapping on your skis, especially if the weather on your trip ends up being rough. 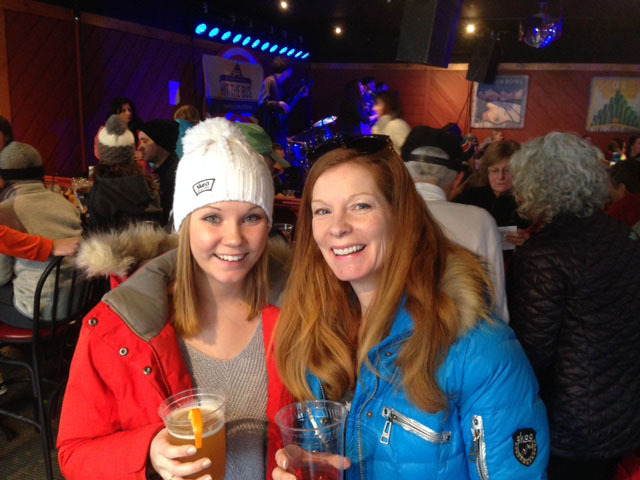 Ski resorts often have après ski family activities, tubing, snowshoeing, and indoor games, movies, and a bar area, but you may also want to look into nearby entertainment. Many ski towns have plenty to do to keep the whole family occupied. There are local museums and historical sites, shopping outlets, spas, theaters, and more. When going on a skiing vacation with the family, it’s important to consider the experience of everybody involved. 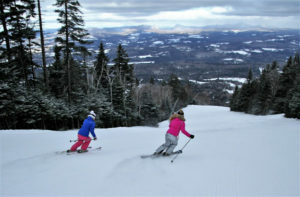 You should bring skiers that are advanced enough to enjoy the slopes around the resort that you’ve booked. 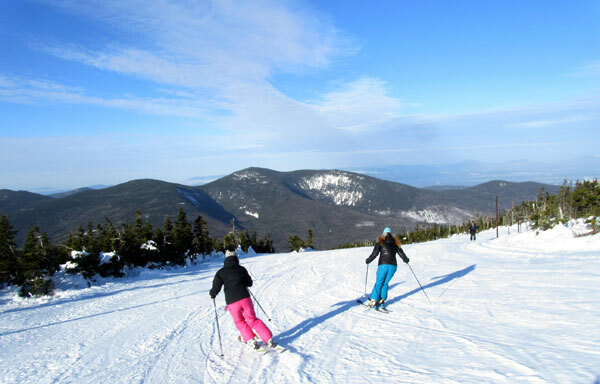 If you’re planning to go to a location that’s shy on green circle trails, you may want to invite only older children and experienced skiers. Though it may seem counterintuitive, traveling with the family will often end up saving you money at popular resorts. Groups can often get reduced rates by booking together. You can also stay in a multiple-bedroom condo with a kitchen to avoid eating out too much. Planning the perfect ski vacation isn’t easy, but for most families, it’s worth the effort. 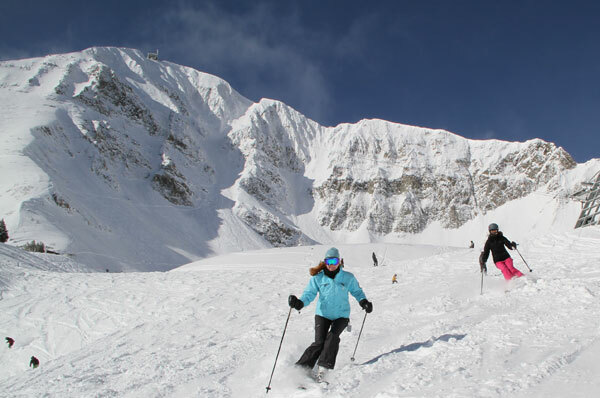 With a little bit of research and the proper preparation, you can make your next ski trip an overwhelming success and come back home feeling rejuvenated. 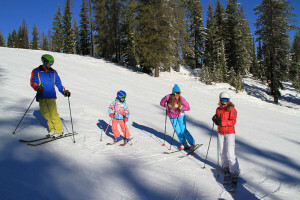 Where are you skiing with your family this ski season? 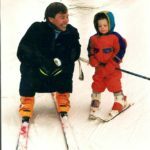 See our Guide to the Top Ski Resorts and our Guide to Skiing the Alps to plan your family ski trips! 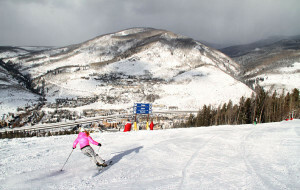 Vail owns 20 Ski Resorts! Epic! 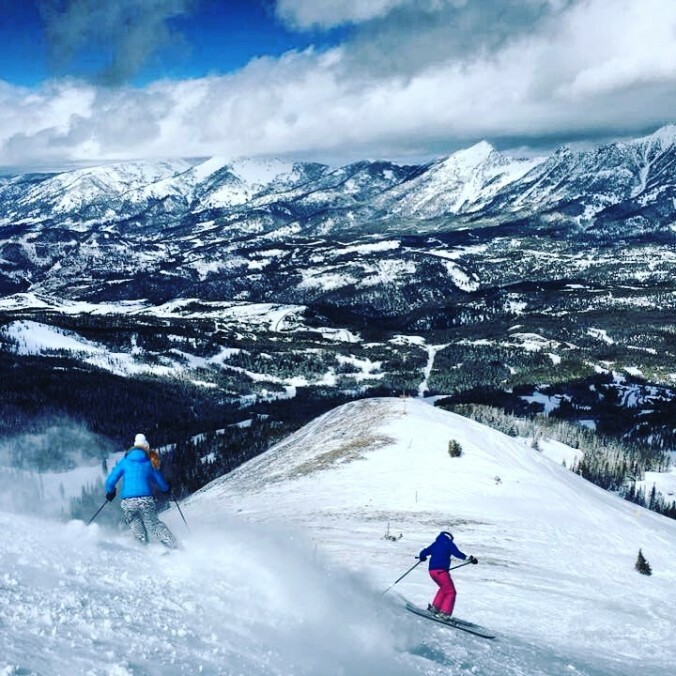 January 19, 2018 / Family Ski Trips / Comments Off on Vail owns 20 Ski Resorts! Epic! Vail Resorts is quite the mountain monopoly now. How many ski resorts can one company own? ! 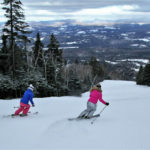 Apparently more than a dozen of dreamy downhill destinations! 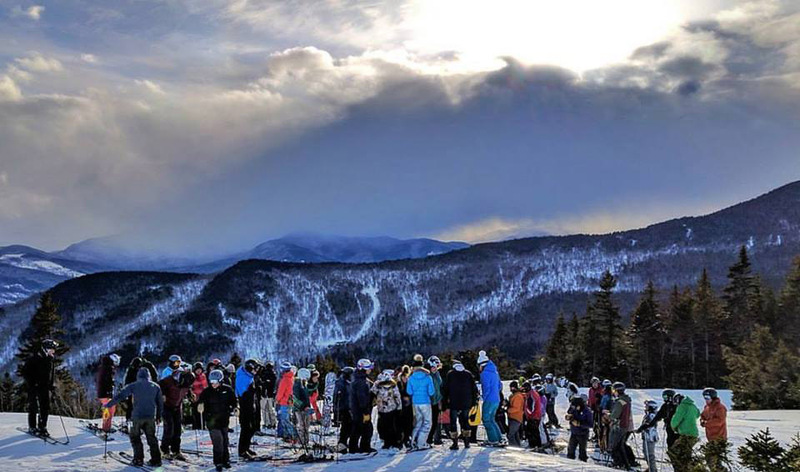 Vail has purchased Canada’s biggest – Whistler Blackcomb for $1 billion and Stowe Mountain for $50 million, now Okemo, Sunapee and Crested Butte for $82 mill, and Stevens Pass Washington for $67 mill. Vail now manages the most resorts, the original Vail (since 1962), plus Beaver Creek – one of my personal faves, Breckenridge and Keystone in Colorado; Park City (and Canyons) in Utah, and recently acquired Heavenly, Northstar and Kirkwood in Lake Tahoe California, Whistler Blackcomb in BC Canada; Perisher in Australia; Wilmot Mountain in Wisconsin; Afton Alps in Minnesota and Mt. Brighton in Michigan. 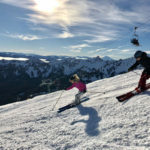 Vail now has the lion’s share of skier visit too, with 50% of the 10 busiest ski areas on the continent, among the top 3 are Whistler, Vail, and Breckenridge. So Vail’s Epic Pass rocks, rivaled by Aspen’s IKON Pass, its even more Epic by adding Telluride, Sun Valley & Snowbasin for 7-days each on the already epic pass. 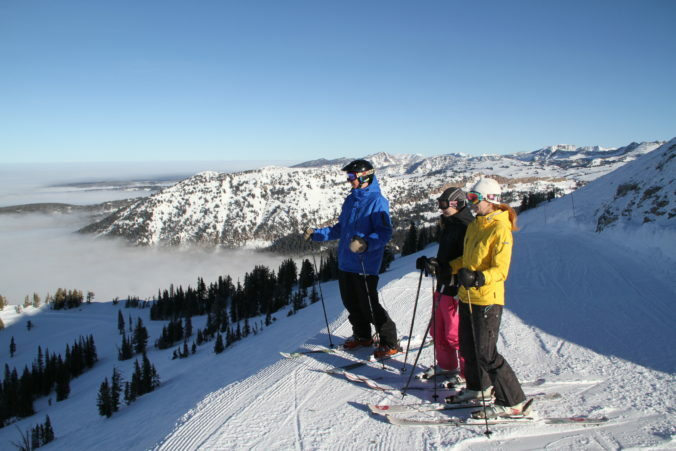 Enjoy skiing at Vail, Beaver Creek, Breckenridge, Keystone, Telluride, Crested Butte, Park City, Heavenly, Northstar, Kirkwood, Stevens Pass, Wilmot, Afton Alps, Mt. 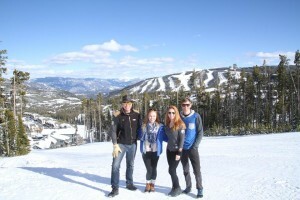 Brighton, Perisher Australia, Wilmot, Afton Alps and Mt. 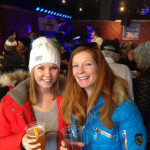 Brighton, Whistler/Blackcomb, Banff Sunshine, Lake Louise, Norquay, Stowe, Okemo, Mount Sunapee. Add to that the impressive ski resort collection the luxury lodging brand Vail Resorts owns – RockResorts, with posh ski lodging properties including the authentic first lodging in Vail village- Lodge at Vail, The Arrabelle at Vail Square, The Pines Lodge and The Osprey at Beaver Creek, One Ski Hill Place at Breckenridge, and the Grand Teton Lodge Company in Jackson Hole, Wyoming. You can also use your Epic Pass in Europe for free skiing in France at Les Trois Vallees, Val D’Isere Tignes and Les Arcs La Plagne plus a few days in St Anton Austria. Meanwhile, I’ve got my Epic Pass and I’m not afraid to use it! Lake Tahoe, Park City, Colorado’s Summit County and Whistler – I’m coming for ya!